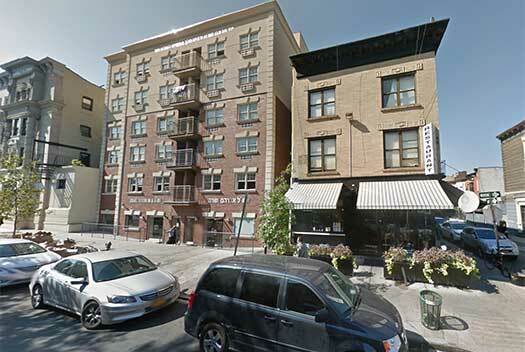 A Lubavitcher has initiated a federal lawsuit against Eshel Hachnosas Orchim and its owner R’ Menachem Mendel Hendel over what he claims is a for-profit hotel being illegally operated out of building in Crown Heights. DNAinfo has profiled the lawsuit in an article describing bother parties as “Mishechistim”, and that the social services organization was meant to provide shelter for the needy, but instead charges Manhattan prices for its rooms. 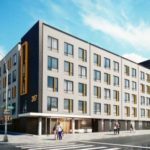 CROWN HEIGHTS — A Brooklyn Orthodox Jewish charity whose mission is to help the needy has been operating an illegal hotel charging Manhattan prices, officials said. 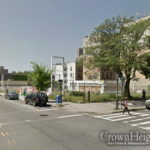 The Chabad Lubavitch Hospitality Center at 272 Kingston Ave. — which was set up to provide “free meals and cash assistance to the needy and a religious publication” — was issued multiple violations for “illegal transient use” on July 21 by the Mayor’s Office of Special Enforcement, a spokesman said. The center had also been operating without a valid certificate of occupancy for more than a year, according to Department of Buildings records. A receptionist at the center told a DNAinfo reporter that it charges between $130 and $300 per night and includes rooms that sleep up to six people. Manager Carlo Minkowitz said the center operates as a “religious accommodation house” for people in need, but that it also rents rooms to the general public. The center has more than 35 reviews online under the name “Eshel Hotel” and was listed on at least one international Jewish site. The mayor’s office, which at first said there was no history of hotel use at the address, inspected the building and issued violations after DNAinfo presented them with evidence of potential illegality. “They are not supposed to operate as a hotel,” the mayor’s spokesman said after the violations were issued. One guest who stayed in the building last spring told DNAinfo he paid in cash but was not given a receipt. In mid-June, a neighborhood rabbi filed a federal lawsuit claiming the nonprofit was taking advantage of poor Israelis by charging them to stay in the hotel. The money generated through the hotel has gone to a network of schools with a questionable history of serving students, including improper bookkeeping of its meal distributions to children, authorities said. The nonprofit sent hundreds of thousands of dollars to three religious schools where its executive director, Menachem Hendel, is listed as a trustee and board member, according to a 2015 tax filing. The group gave more than $445,000 to Congregation Ohr Menachem in 2014 while claiming more than $3 million that year from contributions, grants and program service revenue, according to its nonprofit tax filing. The congregation serves more than 250 students from nursery school through the 12th grade at three separate locations, state Education Department officials said. However, the schools failed to maintain proper records of the number of students served for at least four years, and summary sheets of cafeteria distributions “were destroyed,” according to education department officials and a review of the schools’ lunch programs filed on March 29. The congregation also took in more than $230,000 from the federal government and $8,000 from the state in reimbursements during the 2013-2014 school year, officials said. 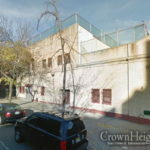 Last week, two administrators for Williamsburg-based Hasidic school system the Central United Talmudic Academy were indicted Thursday on charges they took $3 million in federal funds to feed children, but did not provide all the meals they were reimbursed for, Brooklyn federal prosecutors said. FBI agents also raided Hasidic schools in Brooklyn affiliated with the academy in 2016, Forward reported. The academy did not appear to be connected with Congregation Ohr Menachem. The Chabad Lubavitch Hospitality Center and the three schools receiving money from the nonprofit are both affiliated with a Lubavitcher sect called “meshichists” that believe the movement’s influential leader, Menachem Mendel Schneerson, who passed away in 1994, is the messiah. Nachmenson, a meshichist himself, said he has risked being ostracized from his community for speaking out and labeled a “moser,” which he explained is used pejoratively to refer to a Jewish person who informs on other Jews to an outside entity like the secular court system. A person who answered the phone at Hendel’s home said he was not there and hung up when asked to leave a message. An email sent to the Chabad Lubavitch Hospitality Center was not returned. why / why ? why ? hashem yreachaim , why goyesh court ? why goyesh media ? why the chelul hashem ? what has became of us ? why ? stop it enough is enough ? have we had enough embarrassment ? were is Rabbi yeshai B . why doesn’t both parties go to him? You don’t know the answer? They think of Rabbi yeshai B less than you think of last years snowstorm! All Hendel needed Rabbi yeshai B. was to destroy the Rabbinate in CH, which he did successfully, now it’s the wild west, Hendel mistake was that he thought that he’ll succeed to suppress everybody forever because nobody will ever stand up to him, but he forgot that his own supporters got very good training by him, and now the student turned on his master. Yechi Hamelech! Do you think Hendel would abide by a neutral Beis Din? you mean Mr. Braun He is not a Rabbi or a Rav his Hechsher is fraudulent He openly embarrasses goes against a Real Rov like him or not a Rov in the community for Many years elected & given The Koach by The Rebbe or does that matter anymore to some? Meanwhile Mr. B has refused to ask Mechilah of The Rov & as a result of The Rebbe & refuses to show his Teudas Smicha to him or just about anyone has even lied about where & from whom he received it from Hendel chooses to align himself with him be selfish & greedy & this the result! That is a bold faced lie, never ever happened. He was the first mushroom! Is this the same Nachmanson from the story of the Friediker Rebbe. Is he related to him ? Where can you find a Manhattan hotel that charges so little? Ridiculous allegations. ELUL ELUL ELUL! !Teshuva , tefila , tzedaka!!! I Have no affiliation with Eshel but REALLY??? the guy lives there with his TEN KIDS!!!!!!!!!!!!!!!!!!!! and he reported them???????????????? WHO would rent to him with ten kids? Why was he kicked out of a shelter? Why does he think Eshel is obligated to keep him for free when even a City Shelter kicked him out? in the olden days Jewish and none Jewish leaders had a way to refrain from crushing the little People all the way. and now the So Called Jewish leaders are so full of themselves to not even consider the little people as human beings. and that is just a beginning Every Mosad in this community and every condominium and every vaad is unfortunately corrupt to the core . came a time when people no longer take it quietly and you see the results starting to show. of course the city and state and even federal authorities are looking the other way they have the “Friends” they eat with Chanina sleep with others Etc. But Guess what The Media is King and the media will take all this corrupt officials to the Yoishev Beseiser . What about the Yad Va’ezer from Holtzman ? Rabbi Holtzman from Yad V’ezer is a holy individual. The CHAZAL say that he is to be considered “Zakkai”, which is why he was the one given the Zechus to run around rescuing the Aibeshters children. THE MONTH WE NEED THE MOST RACHAMIM FROM HASHEM ??? THIS IS NOT NEWS, WE KNOW THIS IS HAPPENING BUT NO NEED TO BLAST IT ON A PUBLIC FORUM. AND so much CHUTZPA…………………………………………………………………..this nachmanseon has. where else would he keep his ten kids for free. How does he have money for court costs and lawyers to sue the man who gave him and his large family shelter for all that time. He should use that money to take care of his family and find housing. Disgusting Mesira in the month of Elul. Where are these schools. 3 schools? 250 kids?? It’s upsetting to see in the comments all the hatred for fellow chasidim. Looks like corruption here, but the truth is, corruption and deceit is rampant in all chassidishe communities. The Torah can be Saam HaChaim or Saam Haamaves. I just wish all my years in yeshiva we would have been prepared for real life and not have this image that people with beards and kappotos are generally holy. We’re just flesh and blood. We are good and bad just like everyone else on the planet. The schools getting funded by these enterprises are by far the most affordable of the mainstream yeshivas. The schools for all their reputed faults are run with a sense of purpose from the financial office on down. MH for all his reputed faults knows how to run a school without squeezing parents. I hope for our sake, we beat this. How are they using the Israelis? No one asked them to stay there!!!!!!!!!!!!!!!!!!!!!!!!!!!! I tried to get a room there, they said they only had the $300 a night available. I can’t do that. I understand the building was purchased by fundraising from the community as a hospitality building. I see the building but I don’t see the hospitality. 2: because of #1, I say: so many yidden don’t have their priorities straight. What is ikar? IKAR IS BEIN ADOM LECHAVEROH. work it out, but don’t use hate or anger to get back at someone. this is causing everyone else to be distressed too. how awful. Is this Nachmen son a grandson of the one who arrested the previous rebbe seems like they both come from the same routes. ok. Its time that we all started getting wise to who we are dealing with. Many of these people have personality disorders, and I’d say that the majority of us don’t even know either what it is, or how to detect it. PD is one of the most devastating issues in our community, it is behind aLOT of issues going on, you will see when you get educated. Very serious issue. get wise and get informed and be careful. There is not even a hint of such a thing in the Shulchon Oruch or in any rishon or acharon. A modern rabbi — especially one in Israel where government is Jewish — has no authority to make such things up. Don’t judge until you know all the facts. Dan L’kaf zechus. What an ungrateful person this Nachmanson is! Eishel hosts him and his family after being booted from a shelter, then he doesn’t get 5 star service and reports them to the city! He has the audacity to call himself: Rabbi. However one feels about Eishel, I don’t understand where this man gets off bragging how someone hosts him, after nobody else will. Then as thanks, sues them and reports on them to city agencies. What a horrible person, thats all I can say. This has nothing to do with a meshichist. Both these men are crooks who think they are above the law. this is yor thanks ??? Where did grow up without any shame ?? The comments are fun to read. Thanks guys keep ’em comming.Nachmenson must a great guy everybody wants to know about him. Years ago before 3 tammuz people came for all tishrei and were not charged to stay in peoples homes. The mitzva of hachnosat orchim was valued. The guests ate free meals where eschel is now. Thats as it should be. One of those 3 schools is in eschel after being evicted from an illegal basement. They dont have a school building or a cafeteria for the kids. Where did the govt money for the kids go? Eschel should be a tzedaka organization for free meals and place to stay. It was originally that way under rabbi leder before hendel took over and made eschel illegally into a hotel. He had no right doing that and got caught. this that you say that the tziz eliezer is not right is because you are a am ho’oretz, he brings a proof from the aruch hashulchan. You are a chabadnik and you did not learn in a normal yeshiva and therefore you don’t know the halacha, you are machmir in everything. I am not a chabadnik and therefore i know. I think lubavichers should start learning more nigleh than kabolo and chasidus. What you said about the tzitz eliezer is bizui talmidei chachomim. 1. The Oruch Hashulchon is notorious for writing blatant falsehoods on all subjects where the government’s sensitivities are involved, for the censor’s benefit. His method on these subjects was to lie in such an obvious and exaggerated way that the reader understands immediately that he means the opposite. See for instance the title he gives for hilchos giyur; no reader could possibly miss his true meaning, but the censor allowed it to be published. The censor probably also understood, but he accepted this lip service as the best he could get. R Waldenburg knew this very well, but he thought that in this case, since the Oruch Hashulchon mentioned Britain as well, it means he was serious. Perhaps it never occurred to him that the Czar was a nephew of the Prince of Wales, and a positive comparison to Britain would be seen by the censor as flattering. 2. Even if R Epstein really meant it, it would make no difference. He had no more authority than R Waldenberg to make up new halochos that are not even hinted at by any rishon or achron. Lo mipihem onu chayim. Calling Milhouse an am ho’oretz is a bizui talmid chocham. Milhouse is boki in shaas and poskim and chasidus and kabbalah and is versed in law and science. And spends his time online….